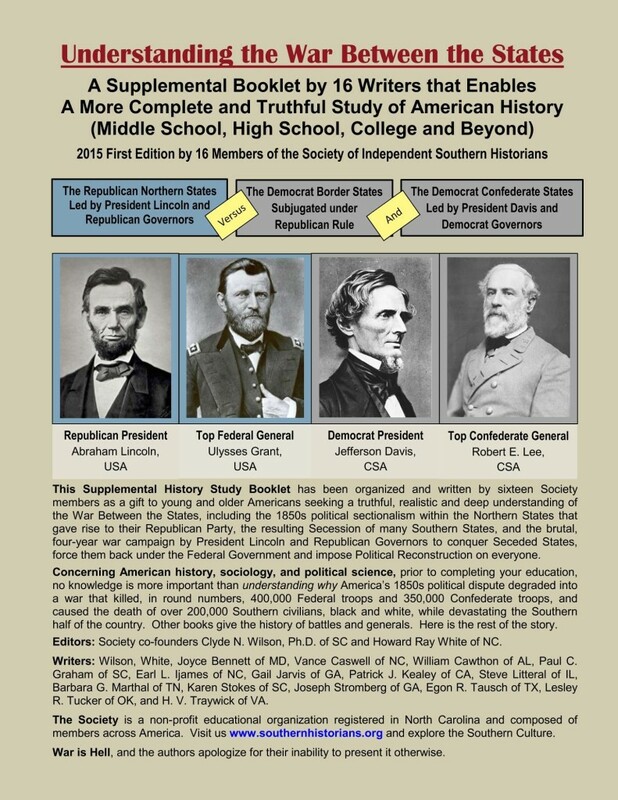 Society of Independent Southern Historians | Bibliography, Reviews and Sources of Recommended Published Southern History, Biography and Literature Concerning the Years 1607 to 1940. Click on the Rectangular Buttons to Right, Left or Below to Search Our Bibliography, to Read Our Reviews of Books, Movies, and Commentary, and to Truthfully Learn About the Southern Culture. 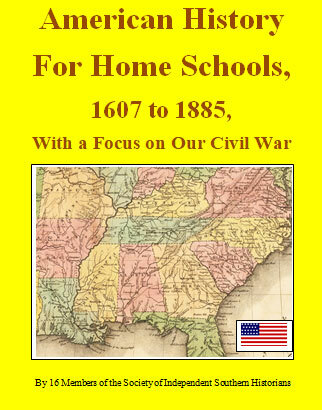 Our recent publication, Understanding the War Between the States, is an amazing teaching tool for school, for college and for older folk. Click here to see a review and learn how to obtain a copy. Our web-site, as in a library, presents a bibliography of our endorsed, recommended readings. You see 12 numbered buttons on the sides, each leading to a group of library file drawers. Click on a button, such as 02, to view the library file drawers within that group. Select a drawer, such as 02.06 and click on it to see the author/title of each library card listed in that drawer. Select a listing and click on the number to read our review .